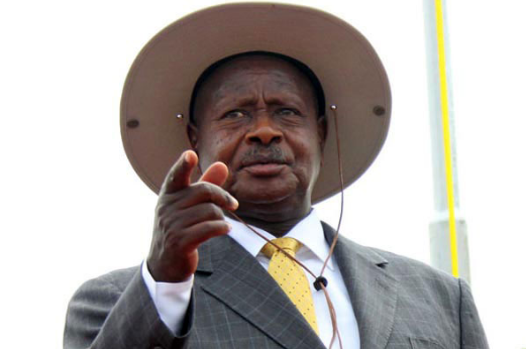 KAMPALA – President Yoweri Museveni has ordered a halt to the creation of new districts, saying some of the people who have been asking for districts have been doing it for selfish reasons. “About creation of districts, some of them were created because of ethnicity and others for geographical reasons like Moyo and Adjumani which are separated by water. But some people now want districts for greedy reasons. We can halt the creation of districts for some years if we agree. We are spending 40% of the budget on the wage and administrative bills. They can wait till we have more money,” Museveni said. The President made the remarks on Thursday while meeting with the Legislators of the Parliamentary Public Accounts Committee on Local Governments who presented him with a report on the findings on the performance of accounting officers of District Local Governments and Municipal Councils countrywide & irregularities in service delivery to the public. For long, critiques have warned against the high appetite of the creation of new districts saying the move is simply driving the cost of administration up as opposed to bringing services closer to the people. The report highlighted a number of challenges Local Governments are facing among which include the insufficient resources that the central governments give to districts, a challenge to which the President called on politicians and the administrative class to learn from the experience of the NRM, where the party claims to use scarce resources to achieve maximum impact. The Committee report also pointed out the glaring corruption in Local Government an observation Museveni concurred. “There is a lot of dishonesty in local governments. Even the little resources we have been stolen. Government does not condone this, we are going to terminate the services of these officers and prosecute them,” said the President. He also warned districts against imposing taxes on small business operators stating that although Uganda’s economy is small with few tax points, he is against taxing the poor. “For instance in Lukaya, you tax gonja & mchomo sellers. Leave these & collect the annual tax. When they make money, they buy goods that are already taxed, e.g beer,” said Museveni.